Lazy Blocks is a Gutenberg blocks visual constructor for WordPress developers. You can create custom meta fields as well as blocks with output HTML. Add editor controls to your blocks using drag & drop visual constructor. 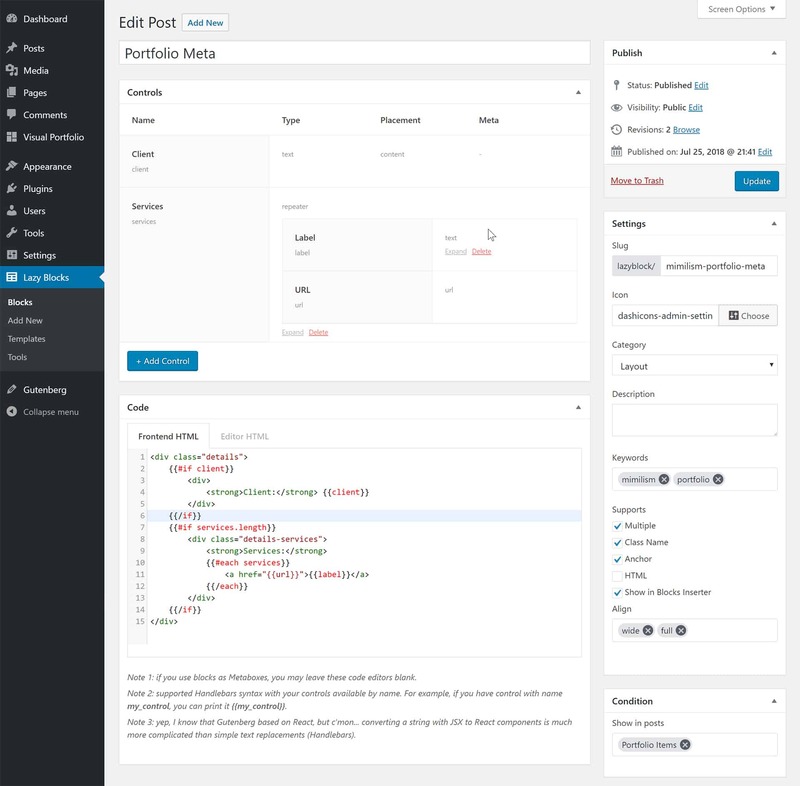 Create post templates with predefined blocks (any post type).